Our Services: Ellis Heating & Air Inc.
As Dad and I have worked with heating and cooling systems through the years, many things have changed in the HVAC industry. Primarily the equipment has become more technical, but we’ve kept up with the ever-changing industry so we can provide you the Gold Star Service you deserve. Our certifications are always up-to-date. We are fully licensed and insured. That means you’ll never have to worry that your work is being performed by under qualified technicians and installers because Dad and I do all the work ourselves. You know the old saying, if you want something done right, do it yourself. Well, we really take that to heart because, in the end, your satisfaction with our work and service is what keeps us going. We believe your home is your safe-haven. A place to find comfort. That’s why nothing’s more important to us than making sure you are always comfortable in your home. We offer several services that will keep your home comfort system working the way it should. We keep a wide variety of standard parts in stock on our trucks, but occasionally we run across a part that we have to order. Because we use a local supplier, we’re able to get those parts quickly, usually the same day. We also warranty and guarantee all of our work. When we install a new system, we don’t just meet the local codes standards, we exceed them to ensure you receive the highest quality installation possible. That’s just another way we provide Gold Star Service…because YOU deserve it! Maybe your heating and cooling system is on its last leg and it’s time to consider installing a new one. We can help you select the system that is right for your home and your price range. We offer a quality line of heating and cooling equipment that’s backed by No Hassle, 10-year and 5-year warranties. We even offer financing for smaller monthly payments that are easy on your budget. A new system can be beneficial in many ways. New systems are much more energy efficient than older systems and can often save you money on your monthly energy bills. New systems also can help maintain a proper level of comfort in our home. They can even be super high-tech and automatically adjust the temperature when and where it’s needed to make sure every room is just the way you like it all the time. The Gold Star Service Safeguard Program is our way of helping you plan for regularly scheduled maintenance visits so your heating and cooling system always works the way it should. With the Gold Star Service Safeguard Program, you’ll receive two maintenance visits, each year – one in the Fall and one the Spring. Regular maintenance will help you catch small problems before they become large ones, keeping your repair bills to a minimum – and keeping your comfort level where it should be. That’s just another way we provide Gold Star Service…because YOU deserve it! 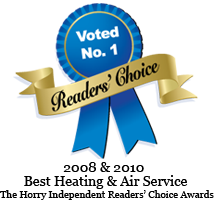 Do you need a fair and honest, yet expert, opinion about your heating and cooling system? After a consultation with you, we’ll evaluate your heating and cooling needs and help you determine exactly what your heating and cooling system needs to keep you as comfortable as possible in your home. We’ll give you our estimate the same day we evaluate your system so you can make a timely and informed decision. That’s just another way we provide Gold Star Service…because YOU deserve it! Our experiences working with commercial systems allows us to design and install mechanical systems in coordination with your scope of work requirements. We can develop final designed and detailed construction documents, working drawings, specifications and budget cost estimates. Upfront price before any work is performed.